Nintendo has recently tweeted out an awesome deal on the Nintendo 3DS XL system by offering it for $149.99! This deal includes the new limited edition Zelda: A Link Between Worlds console. This offer is exclusive to Target and will continue on through 11/28 to 11/30. The Zelda version of the 3DS XL includes a digital download code for the newly released game, The Legend of Zelda: A Link Between Worlds. The bundled 3DS XL console is gold with a black bottom and it features a triforce on both the top and bottom of the console. It’s probably Nintendo’s coolest looking 3DS XL and it comes bundled with a top notch Zelda game which received a 9.4 (“Amazing”) review score from IGN. I have personally started to play through the new Zelda title and it’s easily one of the best reasons to own this console. This video is from a news broadcast in 1991 that shows parents getting upset over the release of the Super Nintendo. Many parents at that time thought that Nintendo was trying to brainwash their children by making them think they couldn’t live without the far superior SNES, while many parents believed the upgrade to be trivial. The content seems laughable now, especially since rate of obsolesce has increased tenfold in many other devices. Ever since video games became popular they have been under criticism for everything, including the content that they contain, the amount of time people spend playing them and how much money we dish out for them. In the 80’s and 90’s when Nintendo and Sega dominated the video game market and created a console boom, there was real concern among some parents that video games would have a large negative impact on the lives of their children and that they would fall prey to corporate schemes. Obviously, video games are just good fun and most of us from that generation have likely turned out to be just fine, of course that’s all a matter of opinion I suppose. Ok, so we have shown you some videos of the Playstation 4, but what about all you Xbox fans out there? Microsoft has recently released this “All-in-One” demo video that spans over 10 minutes showing off many of the cool features of Xbox One in real time. 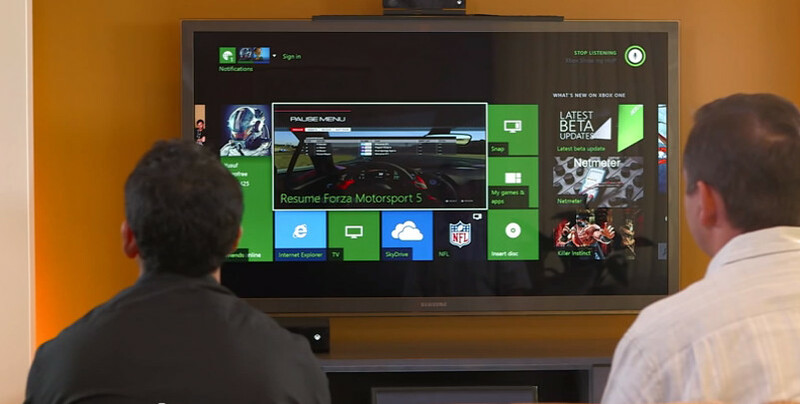 In the video Marc Whitten and Yusuf Mehdi power up the Xbox One and introduce us to the new dashboard and all of it’s new features including biometric sign-in and instant-on gaming. Just talking about these features alone doesn’t do them justice, which is why this video is a must watch for those thinking about picking up an Xbox One. Microsoft’s Xbox One will release to a midnight launch in North America on November 22nd. This video is of Sony engineering director Yasuhiro Ootori tearing down the Playstation 4. Ootori leaves out no details as he takes the PS4 down to it’s motherboard and reveals the true guts of the system. The Playstation 4 was designed with the game programmers in-mind, that’s been the mission of the PS4 from the very beginning. Even though the Playstation 3 was extremely powerful during it’s release, it was notoriously difficult to create games for, and that’s a problem since great games are what really make a console shine. The hardware capabilities of the Playstation have a lot of promise, especially with the inclusion of GDDR5, and it’s likely that we won’t see games utilizing the full power of the system until a few years from now but there’s still plenty to be excited about right now as trailers for some pretty rad PS4 exclusives begin to hit the web. Thanks to WIRED for the video. In a recent press release from Blizzard Entertainment we now know that Blink 182 will be officially closing out Blizzcon 2013. 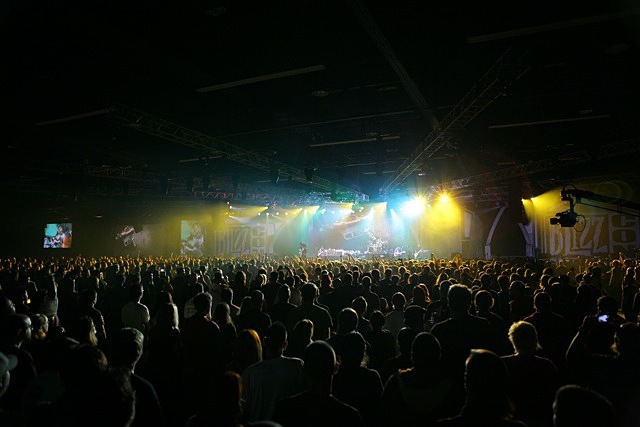 Blizzard canceled their plans for a 2012 Blizzcon last year due to an intense internal schedule but in 2011 they had a fantastic show and closed it all out with legendary rockers The Foo Fighters. “After two days of hard work watching games and playing games and talking about games, we can’t think of a better way to kick back and relax than to have your face melted by Blink-182,” “We’re thrilled to have such an awesome band helping us bring BlizzCon to an epic conclusion.” – Mike Morhaime, CEO and cofounder of Blizzard Entertainment.